Visa, the world’s largest credit and debit card network, has snapped up South African mobile financial services company Fundamo for $110-million in cash. 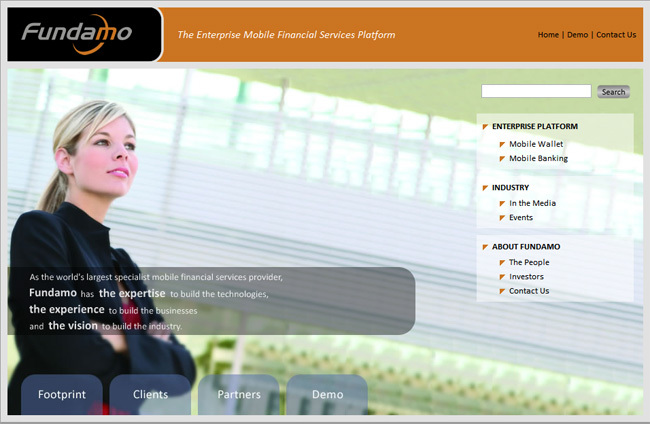 The Cape Town-based Fundamo is a privately-held company which has more than 50 active mobile financial services deployments across 40 countries, including 27 countries in Africa, Asia and the Middle East. The company has been operating since 1999 and has a number of funders which include Cape Town venture capitalists and emerging market investment group PoweredByVC, investment company Remgro and financial services corporate Sanlam. PoweredByVC is also linked to dot.com billionaire Mark Shuttleworth. Fundamo’s deployments currently have a base of more than five million registered subscribers, but Visa believes there is “potential to reach more than 180-million consumers”. Mobile prepaid payments provide affordable transaction capabilities to merchants and consumers in emerging market regions. “Mobile network operators and financial institutions will now be able to take advantage of Fundamo’s trusted mobile financial services platform backed by Visa’s high standards for security, reliability and scale,” says Hannes van Rensburg, CEO of Fundamo. Hannes van Rensburg and the Fundamo management team will continue to manage current and future Fundamo implementations as valuable members of Visa’s mobile product organisation. In a related deal, Visa announced it would also acquire Monitise plc, a UK-based mobile banking network which provides mobile financial services to more developed world economies. “The combination of acquiring Fundamo and expanding the relationship with Monitise will enable Visa to deliver best-in-class mobile financial services and payments capabilities to consumers across the full spectrum of uses, geographies and mobile environments from basic services on simple handsets to more advanced services for smart phone owners,” said Visa in a statement. Fundamo’s main product is its “mobile wallet” — a complete ‘standalone’ banking solution with a functional and secure account which customers can use to make convenient and secure payments, amongst other things, from their mobile phone. The account is managed and maintained on the mobile phone as well as through the use of the internet or a branded payment card. Visa believes Fundamo’s platform enables the delivery of mobile financial services to unbanked and under-banked consumers around the world—including person-to-person payment, airtime top-up, bill payment and branchless banking services. Visa reckons that the combined Visa-Fundamo platform will add “enhanced functionality and new services to existing mobile financial services subscribers across Africa, Asia and Latin America for safe, reliable and globally accepted payments solutions”. “It will expand the utility of closed-loop systems, enable them to be interoperable, make financial services available to more consumers and offer merchants access to new customers. This has the potential to connect billions of unbanked and under-banked consumers to each other and to the global economy,” Visa said in a statement.